This is a two part series: Find a Therapist- The Why and How of Regular Therapy, I want to share with you my experience with therapy and give you some tips on how to find a therapist. Yesterday I shared a bit of my experience with regular therapy. 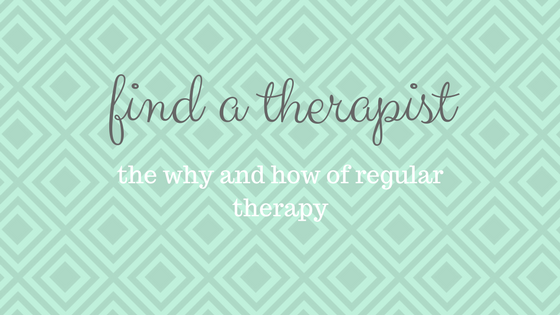 In this post I am going to highlight some reasons and benefits of regular therapy, and give you some tips on finding a therapist. Or perhaps you are just unsatisfied with life and looking for motivation to make some life changes. I say “regular therapy”, and I’m not talking about weekly seeing a therapist FOREVER. But I am suggesting regular visits, that could be weekly or monthly for as long as you and your therapist think you will benefit for. An obvious reason one might attend therapy would be to process a large traumatic emotional or physical event. But that is not the only benefit. When you make regular therapy a priority you learn coping techniques for anxiety, depression, anger, stress, and anything else life throws at us. You can practice recognizing your emotions and dealing with them in specific situations. You can make goals and work steadily towards achieving them. Or you can just talk. How often do we just want to “get it all out.” A benefit of having a therapist means they can listen and identify the significant issues you are facing, point out positives in your life, and help overcome the places we might be stuck. Maybe now you are saying “Chrissy, this is something I could really use in my life!” You are probably wondering how to go about starting regular therapy. The first thing I would suggest is checking with your health insurance and learn about your coverage for mental or behavior health. If you do not have coverage there are many therapist who charge on a sliding scale which means they charge a fee dependent on your income. Next, start searching. I was in IOP, but my case worker couldn’t just hand me a name and number of a therapist. She gave me a direction to start looking however. There is a search bar right at the top of the Psychology Today website. 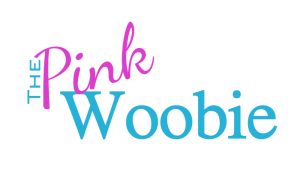 You can put in your zip code and see who is available in your area. There are also little checky boxes to refine your search. If you are only comfortable speaking to specific gender you can narrow it down. You can also find a therapist by their specialization, for example I checked the boxes for anxiety, depression, and chronic pain. You can also search by who accepts your insurance, but always be sure to double check. All this information is input by the therapists themselves, providers and information changes. During your search you are going to come across a lot of letters, PhD, MSW, LPCC, LISW, etc. These determine what type of education and certifications a particular therapist has. There are many different ways to become a therapist or counselor some are Licensed Professional Clinical Counselor, a Licensed Independent Social Worker, as Psychologist, some are even Registered Nurses and Nurse Practitioners. It’s important to know your therapist is licensed to practice, however in my opinion their specific degree is less important. When I was searching I did check out to see where each potential candidate went to school. It’s good to do some research, but don’t let it add stress to your life. Some other letters you may see are CBT (Cognitive Behavioral Therapy), DBT (Dialectical Behavior Therapy), and EMDR (Eye Movement Desensitization and Reprocessing) , etc. These are treatment modalities, the way the therapist will approach your plan for treatment. There are MANY of these, it can be overwhelming, but a good therapist will let you know if they believe that their particular approach will not be helpful for you. At one time I really resisted CBT, but at another time found it extremely helpful, it’s important to find a treatment that works for you. I have also done a version of DBT, and am currently in using EMDR to process my anxiety and depression as well at my pain. Once you have chosen a few potential therapists you might have some preliminary questions for them, many therapists have websites and listed e-mails as ways to answer these questions. Now it’s time to make an appointment, this is the hard part. If you are anything like me you HATE making phone calls. But it may be the best decision you make this week. Some websites have pages where can enter your information and be contacted with an appointment date, but they almost always call you, and I NEVER answer my phone. My suggestion, bite the bullet and make that call! I hope this helps you feel a little more confident about your choice to find a therapist.